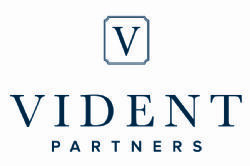 Vident Partners provides concierge-level service. We handle each assignment in a customized manner, using our knowledge of the case, our knowledge of the experts, and our years of working with both plaintiff and defense attorneys in virtually every jurisdiction in the United States and Canada. Our goal is always to select the right expert for each referral. We are always available for consultation, and there is no charge for our services unless you retain an expert we’ve referred to you. We hope you that will give us the opportunity to work with your firm and demonstrate our skill in meeting your expectations.